Are you comics artist dreaming of your picture making history of Manga? This day has come. 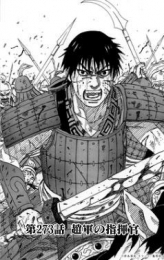 Back in May, Japan has launched online contest “Social Kingdom” for mass drawing of manga based on the series of Hara Yasuhisa “Kingdom” (http://www.tenmanga.com/book/KINGDOM.html) . The project is devoted to the future adaptation of the popular historical manga, consisting of 26 volumes. Anybody registered with Twitter or Facebook can take a part in the drawing. Winners will be awarded prizes. All 1153 pages of manga are displayed at the project’s site. The available pages, for which no one had started drawing yet, have only text with no images on them. Anybody who wants to participate, can choose any empty page and reserve it for 24 hours, in which period the drawing has to be made and picture uploaded. Participants are free to choose whether to paint on paper or using graphics editors, in color or black and white. Famous Japanese mangaka artists such as Takehiki Inoue (Vagabond) (http://en.wikipedia.org/wiki/Takehiko_Inoue) and Hirohiki Araki (JoJo’s Bizarree Adventure) (http://en.wikipedia.org/wiki/Hirohiko_Arakiare ) are among other well known artists, who also taking part in this project, making their own illustrations. Participants and spectators of the contest can vote for their favorite pictures, Most popular authors of the works will receive a specially made prize – “Tankobon” (a book of manga). The winner of the first price will receive a magnified image of his drawings in a frame with the manga author Yasuhisa Hara’s signature, as well as a bag of rice from his home prefecture of Saga. To vote for the participants, as well as to monitor possible rating on this page, access by selecting the middle button on the bottom row. Hurry up! The contest will only run until August 1st, 2012. You Think You Know Me, But You Don’t. Writing a Blog is Rewarding! Hi there, thanks so much for popping by my blog and following it. It really means a lot, as every follower means more awareness for the Pro-Life shelters and the fabulous work they do. So, from the bottom of our hearts – Thank you. I am also really glad that it had me then pop over here to your blog, which I will now follow with interest. I love meeting people from all over the world and learning a little about their lives, interests and experiences. You are welcome, and thank you so much for taking the time to stop by and write a comment. Means a lot to me too!! Cheers from NY! Thanks for the follow, much appreciated. Manga is very cool – it used to remind me of big eyed velvet paintings but I have grown to appreciate a bit more! k.
Big eyed velvet… I actually agree with you – there are some similarities:). Thank you for finding a moment to read the post! Those manga drawings look great. NYP – Besides having an intro to Manga, I went on to see your last blog as well. The seven points are always interesting. One blogger did the 7 points every Friday for a number of months (nothing to do with awards) and she had us in stitches. Good for you that you are not neglecting your artistic side. You can be creative in sales, but artistic in music. Souldipper, I think it’s a wonderful idea about 7 points… I might start practicing it ones in a while. Thank you! This might be a bit off topic, but I was watching one of my favorite Youtubers recently (Phil DeFranco) and I found out about the new Sailor Moon series (one of my favorites growing up) that will be out next year. Maybe someone you know could give it a shot?! Firstly I came to complain about this strange thing that happened – I thought I’d been following your blog since the post about Russia’s got talent, and then I only realised now that I haven’t seen your posts for a long time and came by to check. Why is the reader (or my mind) playing tricks on me! Ok to the point now. Did you submit for the competition too? They are not mine – I’ve mentioned the artists in the text;). I have learned something new. Fascinating. Thanks for the visit to my blog. Look forward to seeing more of yours. Thank you, please come back:-). Is it too late to start learning how to draw Manga? As an illustrator myself..it’s never too late to start drawing! It’s a skill you can adquire at any age! Thank you for taking time to comment!! Cheers from NY! I am a One Piece fan, are you ? I’m not an artist, but do enjoy some of the art in manga. I find some of the art is sooo much better than the storyline. Thank you so much, your complement is greatly appreciated! You’ve got a very interesting blog yourself. My sister got me into manga. Can’t wait to check out these submissions! Hey you Anime Peeps reading my blog! Look what I came across on NY Parrot’s blog! Thank you for reposting. I greatly appreciate it. Aloha! You are so welcomed! Have a great weekend! Thank you for the follow and this looks like it would be a lot of fun. Thank you, and yes, we’ll have lots of fun together! I’ve just been looking through your blog – you’ve got some great content! Thanks also for following my blog! Manga is not a fruit. Mango is. Lol. What a funny and catchy title! LOL… I am still discovering Manga… Thank you for your great comment. I am looking forward for more interaction, and inter-reading between us:). Thank you for visiting my blog and follow it, so I follow your blog. Look forward to seeing more of yours. You are very welcome. Thank you. Please come back when you have time:). Thank you…I’ll come back again anytime. Thank you for enlightening me about this contest in Japan!Even though we have never met formally I can sense that you are caring and sensitive person.I shall return to read more.Take Care! That is a very kind and sensitive thing for you to say… I can sense that you are very thoughtful and giving person:). I am truly happy to make a new friend… Please come back, and I’ll do the same. Hi! I nominated you for the Reader Appreciation Award. http://thebumblefiles.wordpress.com/2012/07/22/a-few-awards/ Best wishes!! Thanks SO MUCH! It obviously pays off not to sleep at night:-). Aloha!! No away!! :-) You are a second person who had nominated my blog this last week. I am so honored and excited to be among the chosen ones!! Thank you SO VERY MUCH. I am so happy! :-) Congratulations on been awarded to you too! – I will have to find the time to accept the Awards appropriately. Please forgive me, it may take a little while, but I will absolutely do it! Big Hug!! I just dropped by saying thank you to comment in my article about my dog. To think of this article of yours is really impressive. I’m also an artist although I have to admit that I am projecting my artwork as well. You are very welcome:-). I am so happy there’s an interest out there for this competition! Good luck to your son if he decides to participate! I love anime & mangas they tell interesting and more complex stories than their American counterparts. It’s a shame I don’t draw well or I’d throw (ok, maybe I would just draw it) my hat into the ring! If they get it done I’m sure it’ll will be great to watch! Have you seen my another post on comics? Thank you SO very much, BigSmile! You put a huge smile on my face!! :-) I appreciate the award, the thought, and your friendship. I will have to find time to appropriately accept this honor, but I absolutely WILL!! Thank you again. God Bless you and everyone you love! Thanx for stopping by and signing up to follow my blog. It looks like you’ve found several others to follow recently. I’m the president of the Late Owl Club. I’m not into Manga, but I see your earlier posts are varied and interesting. I hope you continue to find mine interesting and entertaining as well. Hey, brother Night Owl:). Thank you for flying all the way to my side. Welcome! Will keep flying back and force! Then your son could give a shot to the contest:). Hey, you never know! The artwork posted here is excellent. I’ve drawn some manga (for my own amazement, not for anything else) … and have displayed the manga that some of my students have drawn. Are you, guys, participating in this competition? You should! Maybe you could sketch something collectively!? Thank you for commenting! My drawings are in pencil, and colored in pencil. One manga artwork I’ve posted is from a student I had about 5 years ago. She is exceptional and I would be surprised if she were not engaged in this professionally by now. But thank you for the suggestion. I must update my art skills. 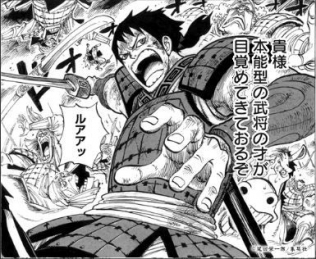 The manga pics are so cool. I draw, but not really at that level, in that style. Interesting though. k.
I don’t know how to draw Manga. I am just a messenger. :) I can sketch a little bit, but I am more into writing songs. Thank you for stopping by. I am glad to found a moment to look around here. Cheers! Thanks for following. I know people who are obsessed with Manga,Naruto and so on. Cool. Enjoy the day & keep up the great work! Warmest Regards to you, Nancy. Thanks again!!!! I enjoy your blog and nominated you for the Versatile Blogger Award. I was happy to tell others about your blog! Go to Versatile Blogger Award. Thanks a Million, I am very humbled to receive yet anther Award Nomination. I will accept properly when time allows. Thank you SO much! I greatly appreciate you nominating me. God Bless! Just stopped in to say hello? New posts coming soon? Hey there, pleasure to see you on our side:-). I’ll be back for more of your writings. And yes, I am working on more posts – life can be so hectic;). Thank you for encouraging me! Thank you, Ricardo. I feel very honored to be included into the group of bloggers you’ve nominated. I will get to the acceptance post as son as my schedule allows. I wish I could just do it right away:). My warm thanks to you for your thoughtfulness! Aloha! A very good source of Manga & Anime is on DailyMotion.com. They are the #2 Video Sharing Site in The World. I am glad you found it interesting, Zen. I am working on another post on Manga. Wow, the skill of some of the artists that took part is absolutely amazing! I wish I knew… If I come across of some info, I’ll definitely let you know.